The Universal Raised Rail Mattress Cover adds safety, comfort, and peace of mind for patient and caregiver. 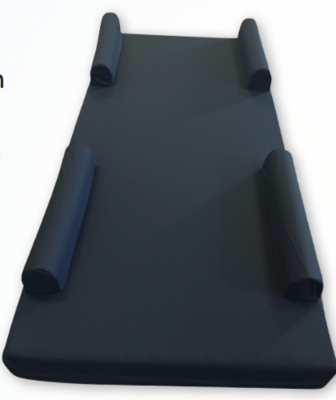 Foam bolsters provide a gentle reminder that the patient is nearing the edge of the bed. 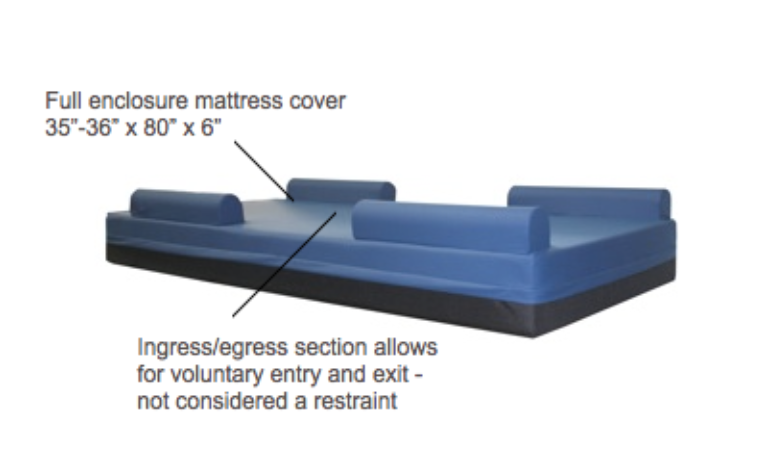 This safety perimeter prevents falls, rolling, and unattended bed exits.The raised edge minimizes gaps between the bed rail and the mattress, limiting the risk of entrapment. � 15� openings in the mid-section for easy patient exit and entry. � Design compliant with the latest restraint reduction legislation. � Zippered foam compartments for safe and easy laundering of cover.